Day 1. Arrive at Johannesburg OR Tambo International airport. Day 2. Pretoria – 1st concert. Morning guided sightseeing of Pretoria visiting the historical Voortrekker Monument and the Union Buildings, with a drive-by the house of Paul Kruger and the main square in the city. Day 3. Soweto – 2nd concert. Day 4. Pretoria – Pilansberg. Check out and depart by coach for 200 km’s to the Pilansberg National Park. On the way you will stop at the Hartebeespoort Dam to visit the Chameleon flea market and get your own lunch at one of many restaurants available there. 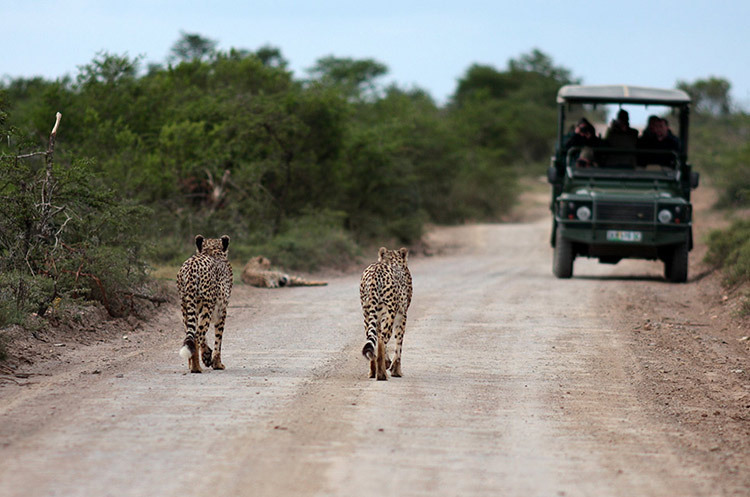 Late afternoon you will enjoy a 3 hours sunset game drive on open safari vehicles with qualified game rangers. Pilansberg National Park is set in an extinct volcanic crater, with grasslands, wooded valleys and multihued rock formations. Wildlife includes elephants, lions, leopards and rhinos. Animals drink at Mankwe Dam, a man-made lake. Abundant birdlife includes eagles and ostriches. Concealed wildlife-viewing shelters are scattered throughout the park. Dinner at your resort and overnight. Day 5. Pilansberg – Cape Town. Early morning game drive at 5.30 to see as much game as possible, before the hot African sun forces the animals into shaded areas. Breakfast at the resort and check out. Travel for 2 hours to the Laseria Airport located outside Johannesburg. Afternoon 2 hour’s flight to Cape Town. Day 6. Cape Town – 3rd concert. Morning guided tour of Cape Town city center with English speaking guide. Situated below Table Mountain, Devil’s Peak and Lion’s Head, Cape Town offers a rich cultural and colonial heritage, grand splendor, as well as an assurance of activity and excitement. Including all the “must-sees” of any Cape Town day tour. The tour commences in the city bowl where we will be visiting the well-preserved Company Gardens, the S.A. Museum, City Hall and the Castle of Good Hope, as well as the vibrant and arty flea market; Greenmarket Square. Next, we take a trip through the colourful and picturesque Cape Malay Quarter known as the Bo-Kaap. where you can see thousands of Cape Fur Seals close up in their natural habitat. Return to your hotel where you can freshen-up and change into concert dress for this evenings concert hosted by a local school or university. Dinner will be at a restaurant on the waterfront and overnight at your hotel. Day 9. Stellenbosch – Franschhoek – 4th concert. Travel by coach to the winelands area of Stellenbosch and Franschhoek and visit one of the popular wine estates. A favourite one is Lanzerac, which offers a selection of fine cheeses, homemade chutneys, preserves, biscuits, and breads at Governor’s Hall. The Terrace Restaurant offers a choice of South African cheeses with biscuits and preserves, or biscuits, breads, preserves, and cheese. A wine and cheese pairing includes 4 wines paired with 4 Boerenkaas cheeses. For the under-aged we will arrange some grape juice. Afternoon joint concert with a local choir. Evening farewell dinner with African drumming session will be at the Gold restaurant. Check out and transfer to Cape Town International Airport for your departure flight.